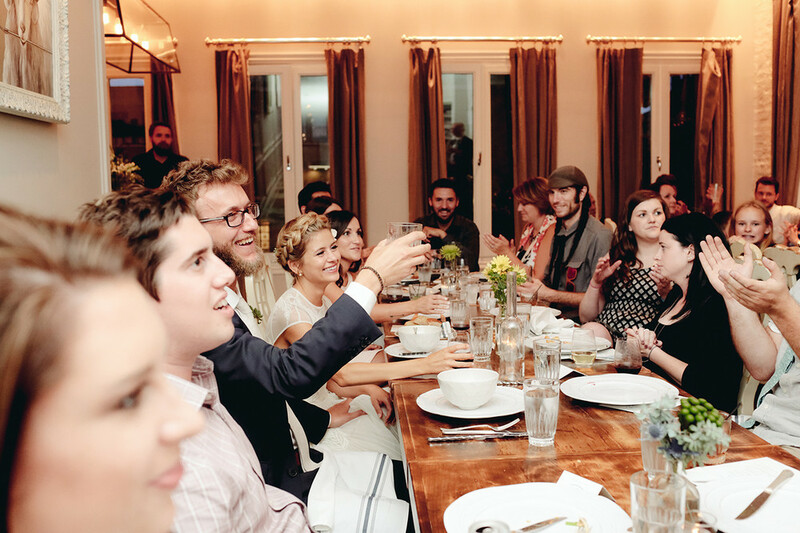 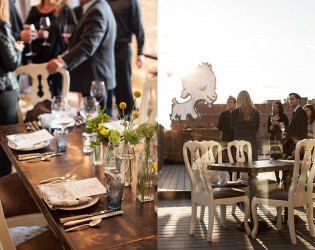 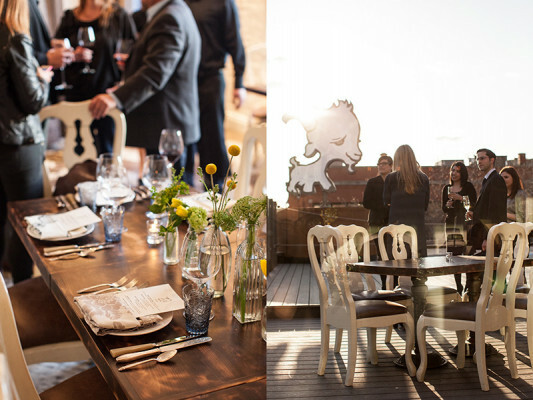 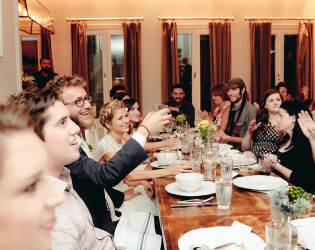 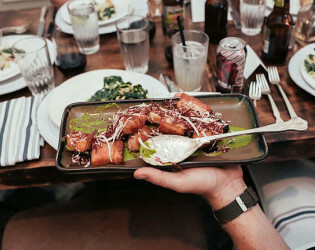 Graze on over to the Little Goat Kitchen for a fabulous farm dinner with your besties! 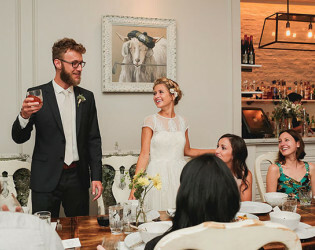 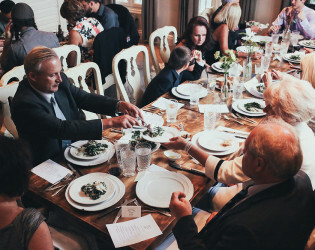 With it's cozy and familiar feel, this unique spot makes for a perfect space for a private event, farm fresh dinners, or your own creative dinner with your best group of peeps! 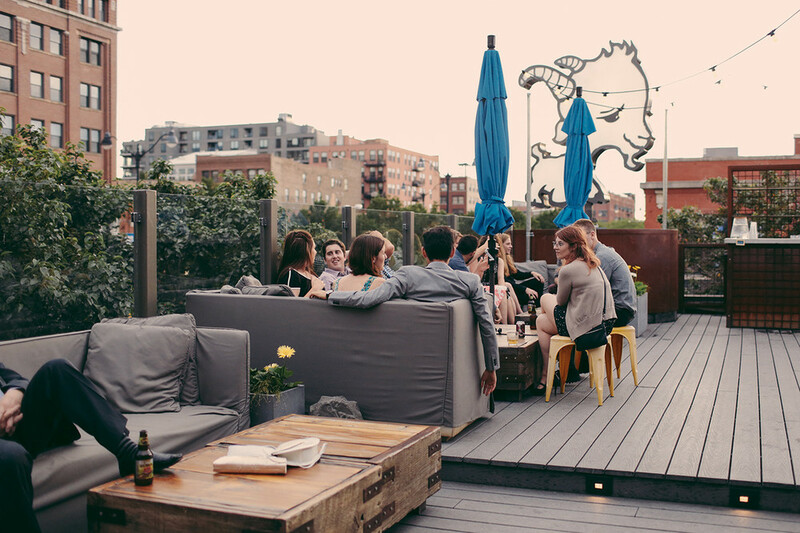 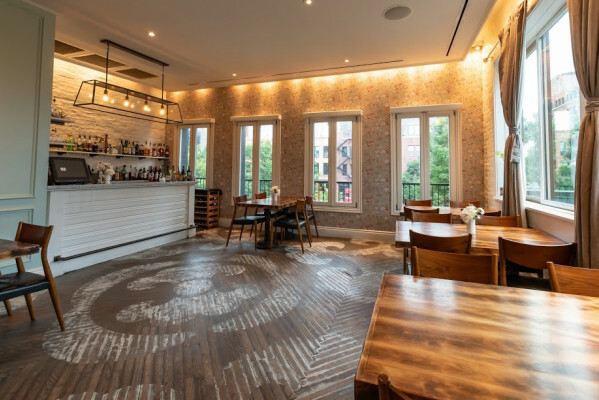 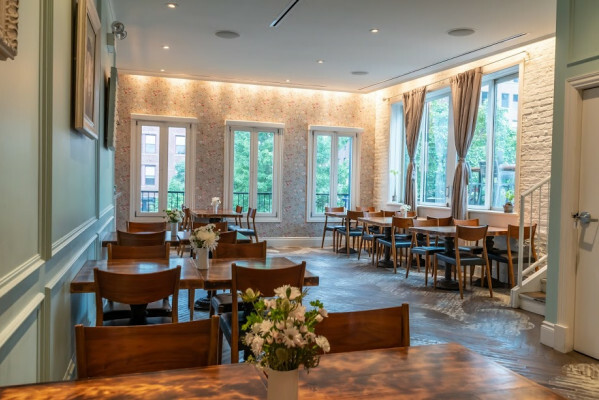 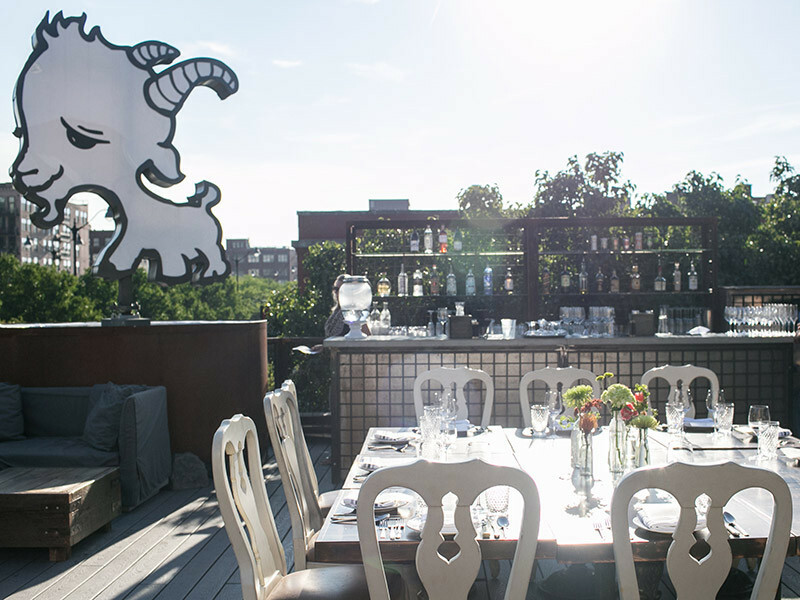 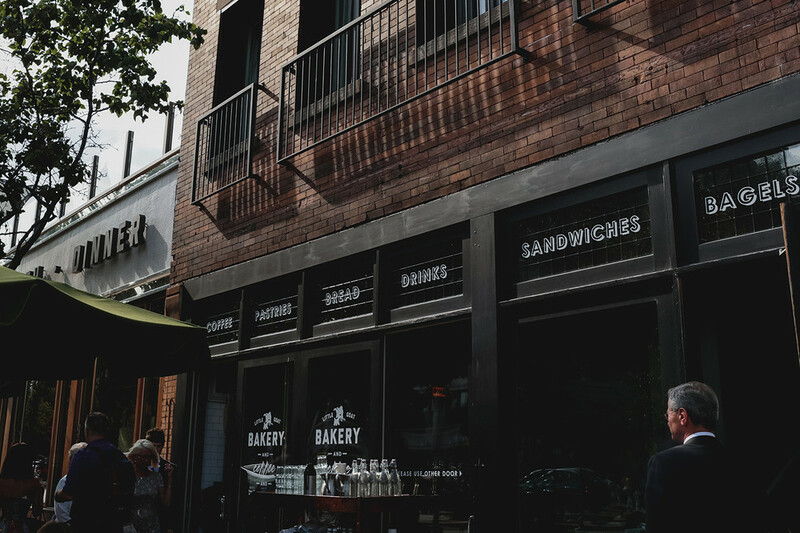 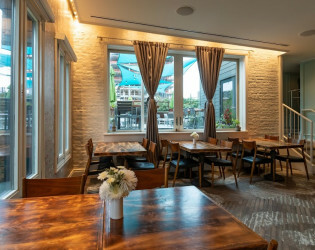 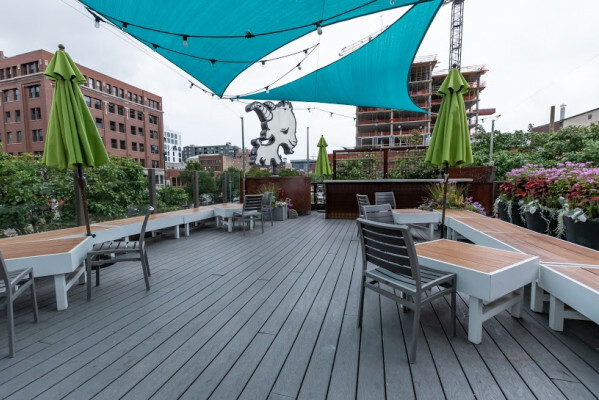 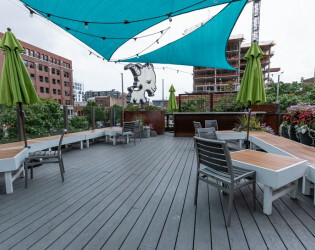 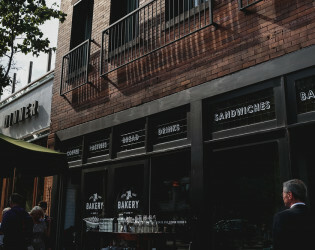 Little Goat Kitchen boasts the captivating food of acclaimed chef Stephanie Izard (Girl & the Goat, Little Goat Diner, and Duck Duck Goat) combined with one the city's best rooftop terraces. 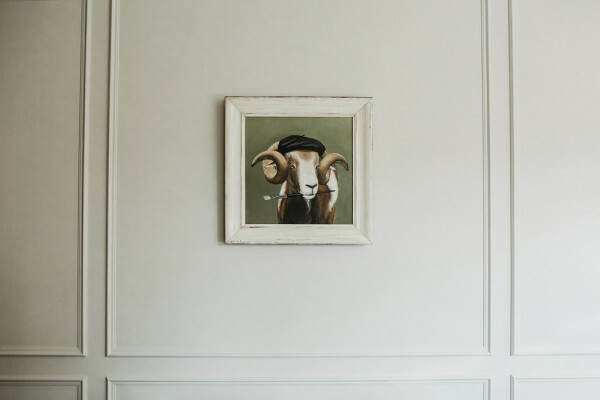 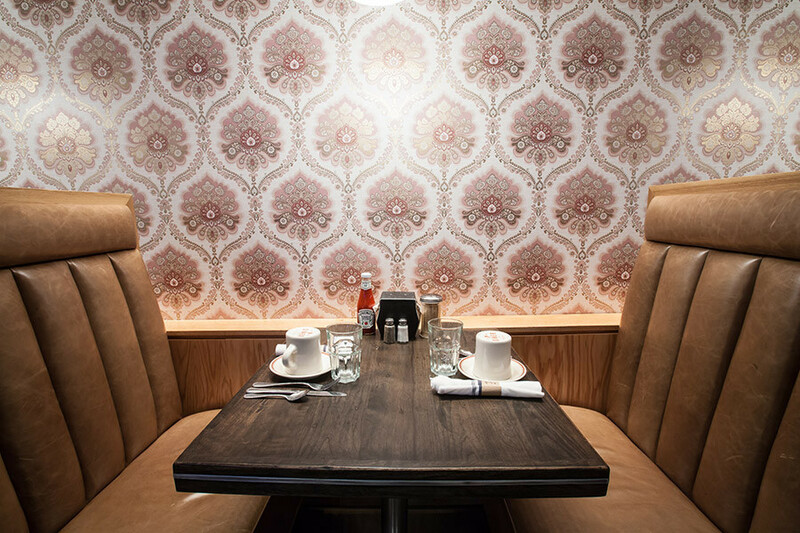 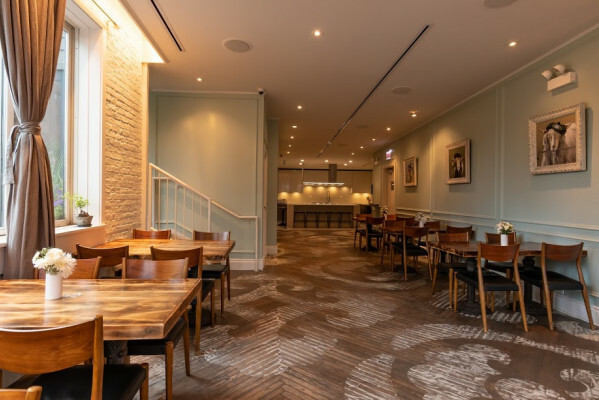 This charming room is situated atop Little Goat Diner in Chicago's bustling West Loop and brings Chef Izard's famous flavors to your guests. 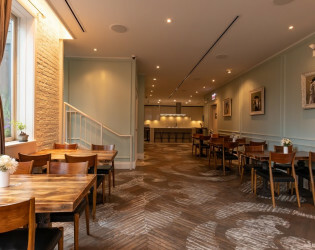 Room fee, tax, and gratuity are additional. 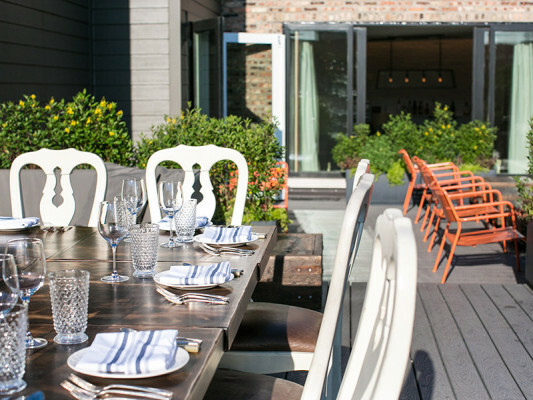 A private entrance leads you from the action of the West Loop up into the warm elegance of Little Goat Kitchen. 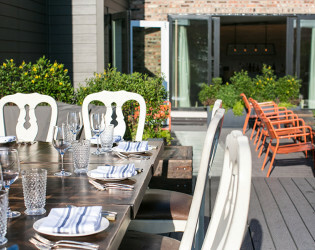 The room is flanked by a modern open kitchen on one end and giant windows overlooking the terrace and street at the other. 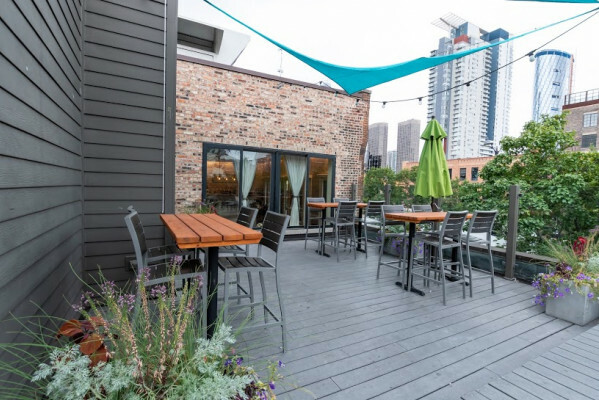 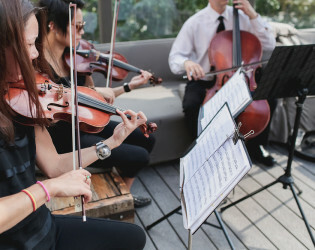 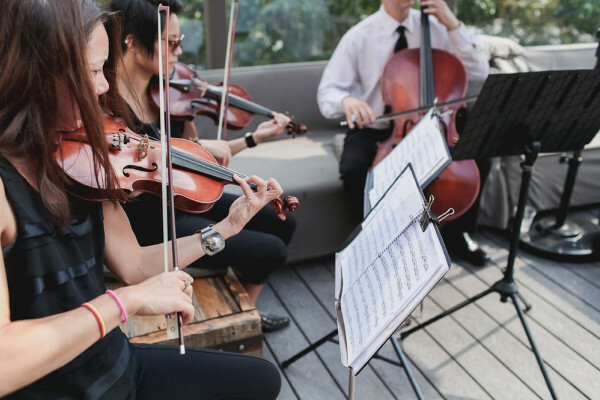 Use of the terrace is included in your event reservation. 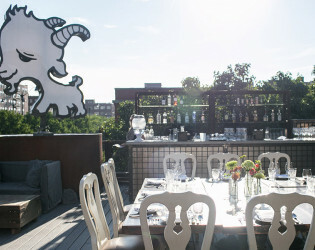 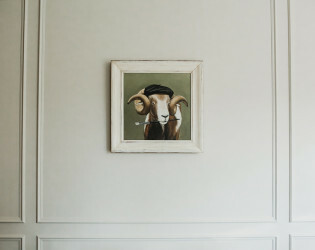 Its photo-ready views -- the city skyline to the east and a 'little goat' to the west -- will delight your guests. 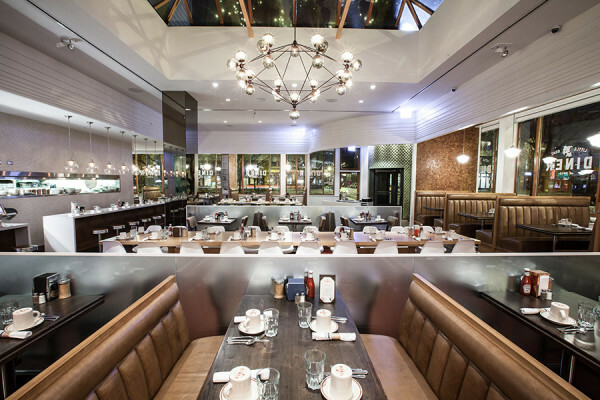 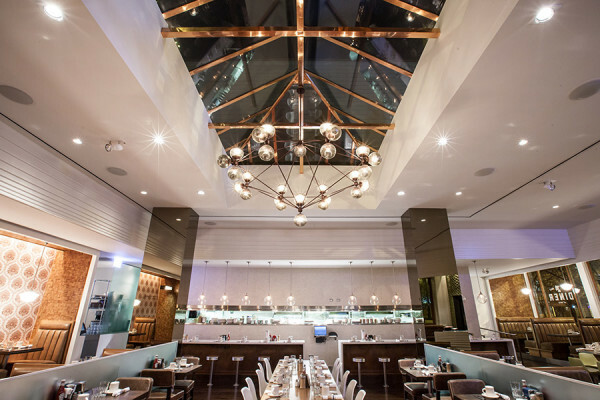 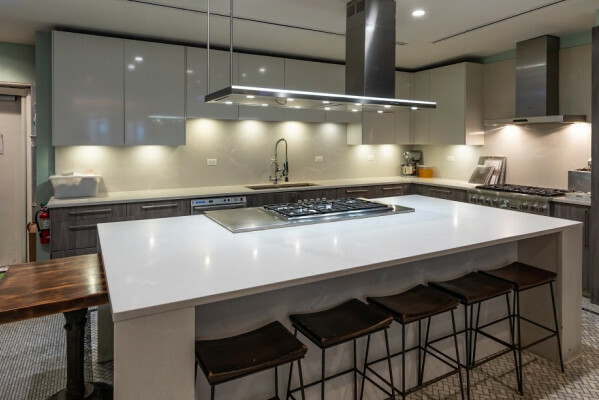 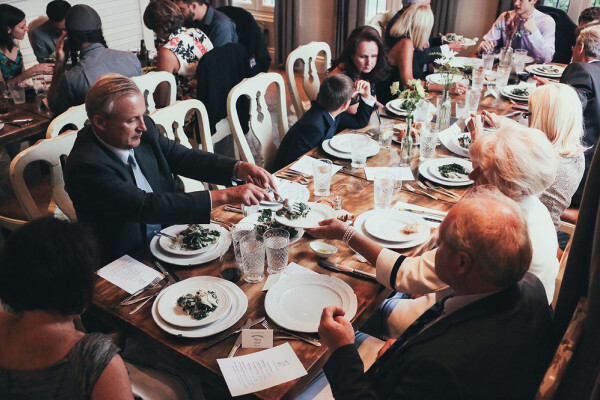 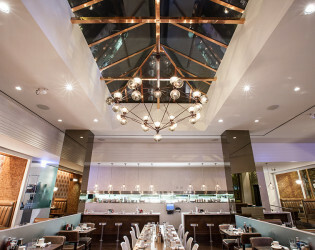 The room is fitted with open shelving lined with beautiful dishware, wood floors with stencil detailing, and a kitchen island around which our chefs prepare food on the spot as your guests meet, mingle, and celebrate. Engage with your chef team and bar team with the open kitchen concept and your own personal bar. 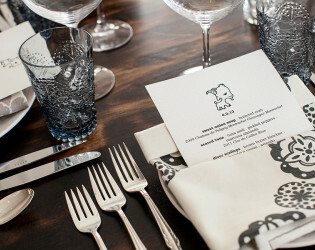 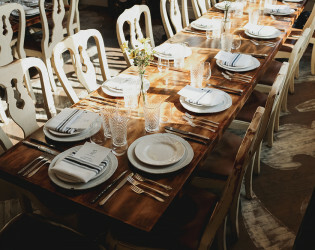 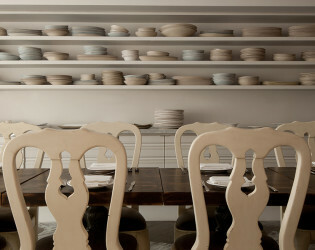 Wood tables, dining chairs, glassware, dishes, flatware, linens, and flowers all come standard with a reservation at Little Goat Kitchen. 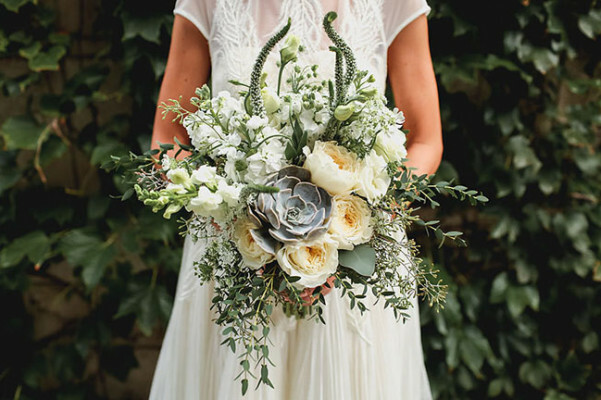 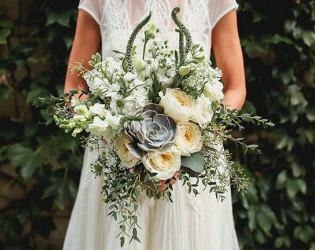 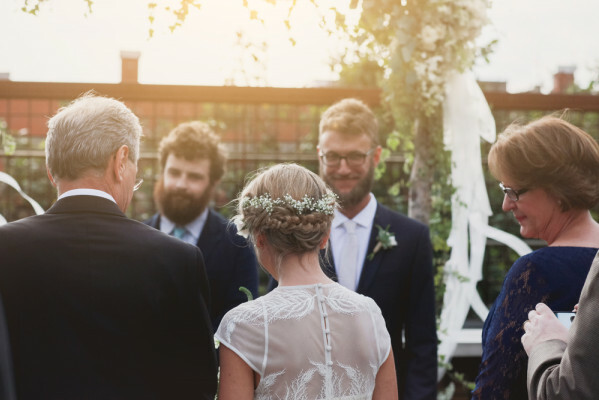 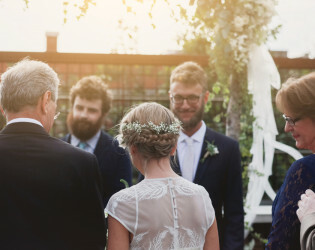 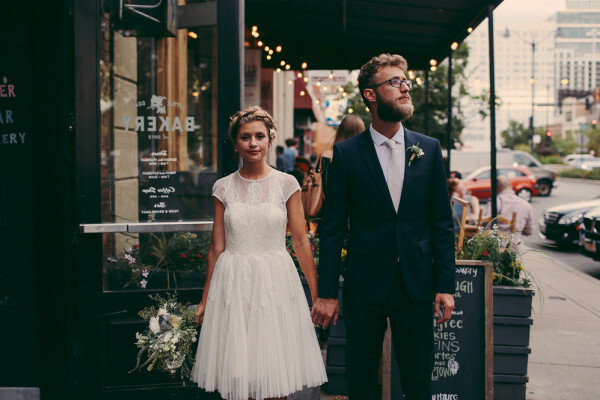 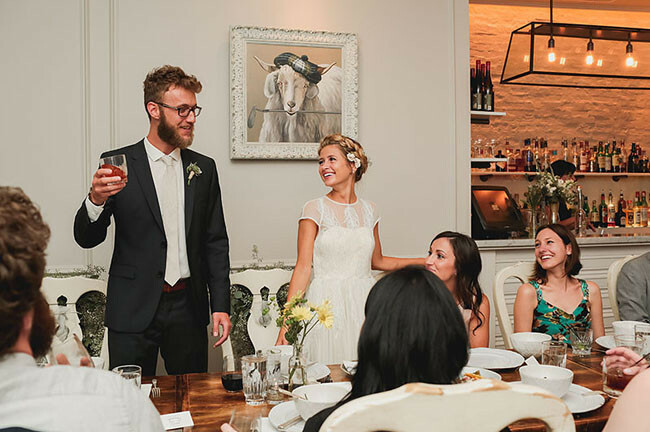 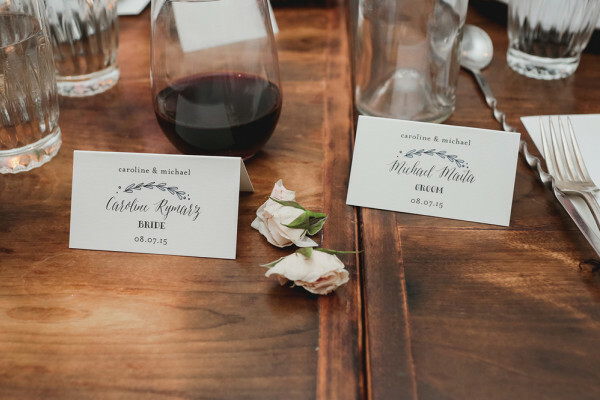 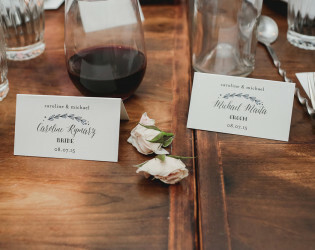 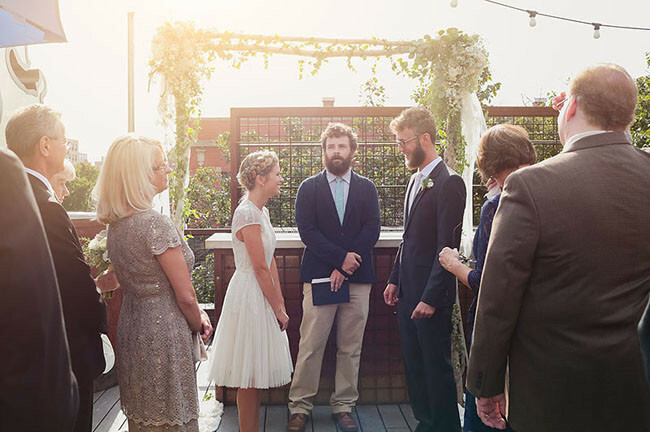 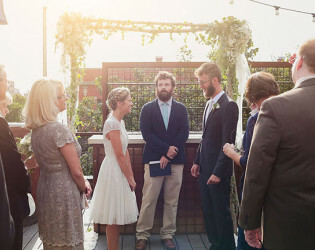 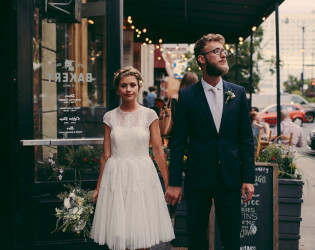 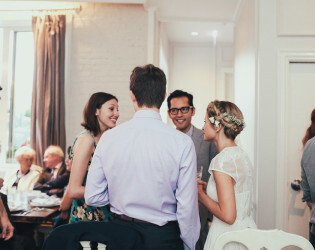 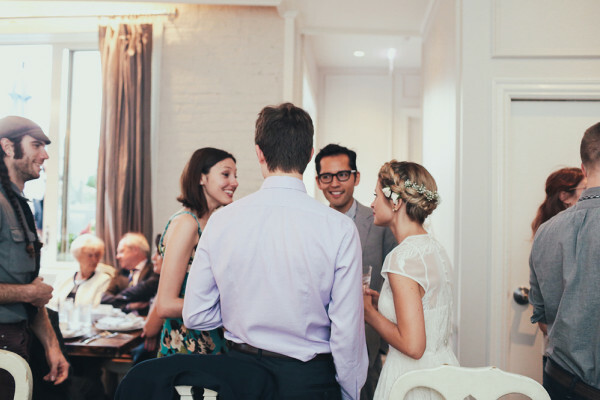 In addition, your guests will enjoy private restrooms and coat check services. 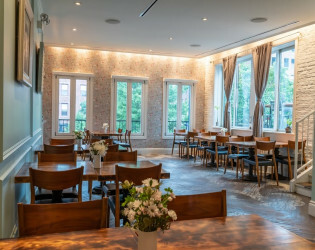 Little Goat Kitchen is under the direction of Stephanie Izard, winner of Bravo's Top Chef and executive chef of Girl & the Goat, Little Goat, and Duck Duck Goat. 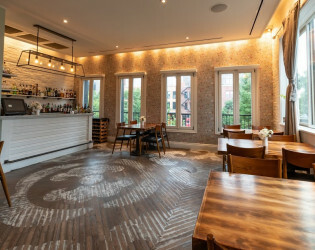 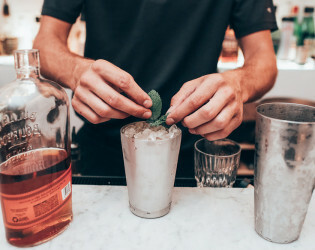 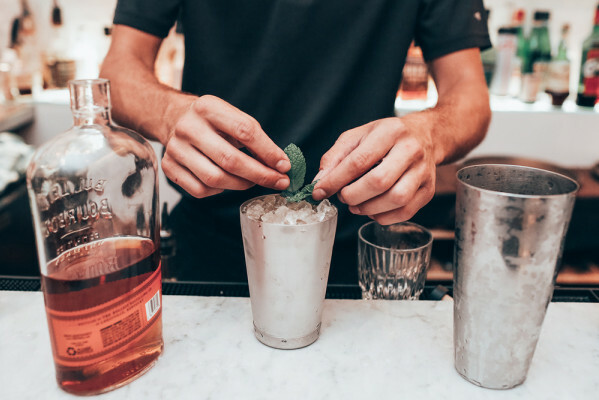 Little Goat Kitchen has a full bar offering craft beer, an incredible wine list, and expertly made cocktails. 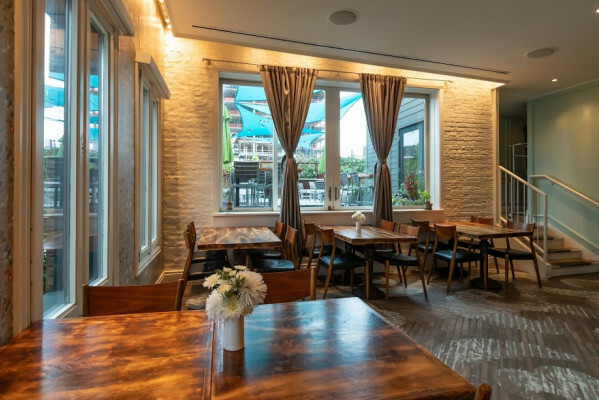 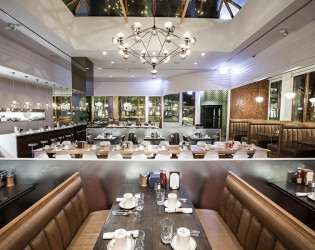 Little Goat Kitchen boasts the captivating food of acclaimed chef Stephanie Izard. A private entrance leads you from the action of the West Loop up into the warm elegance of Little Goat Kitchen. 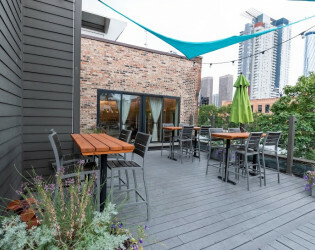 Rooftop space available for rent. 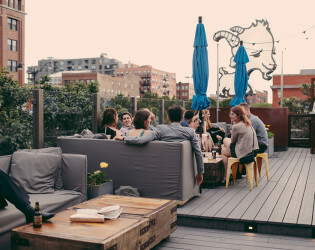 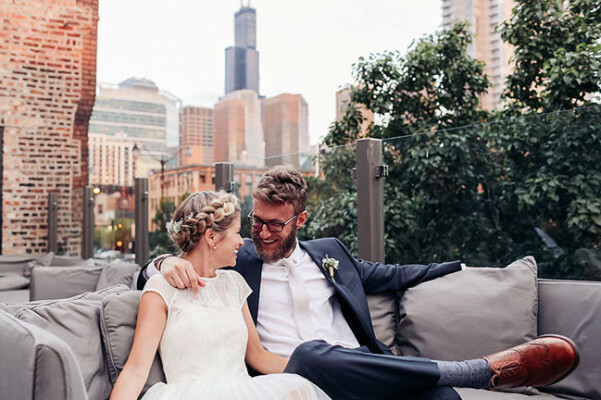 One of the city's best rooftop terraces. 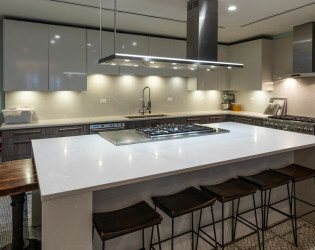 The room is flanked by a modern open kitchen on one end and giant windows overlooking the terrace and street at the other. 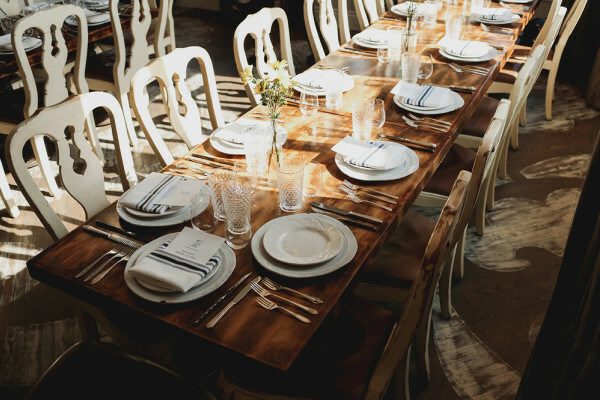 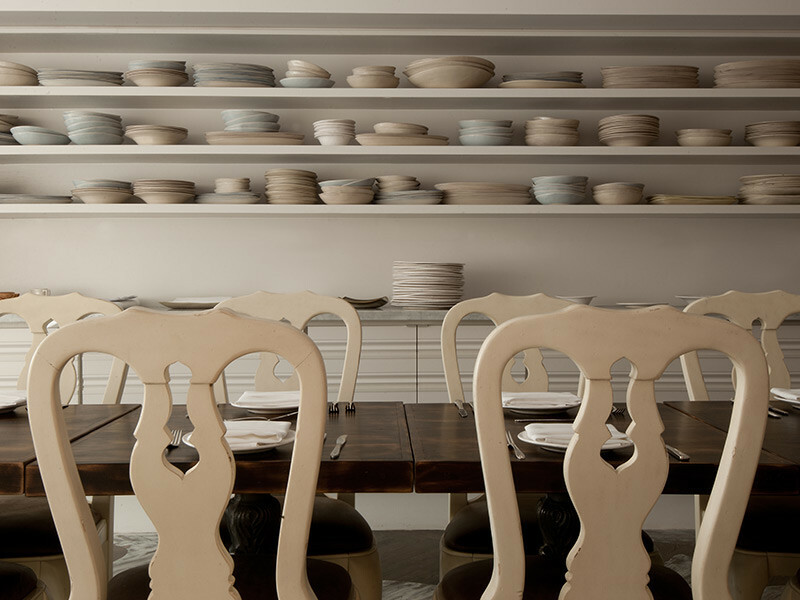 Wood tables, dining chairs, glassware, dishes, flatware, linens, and flowers all come standard with a reservation at Little Goat Kitchen. 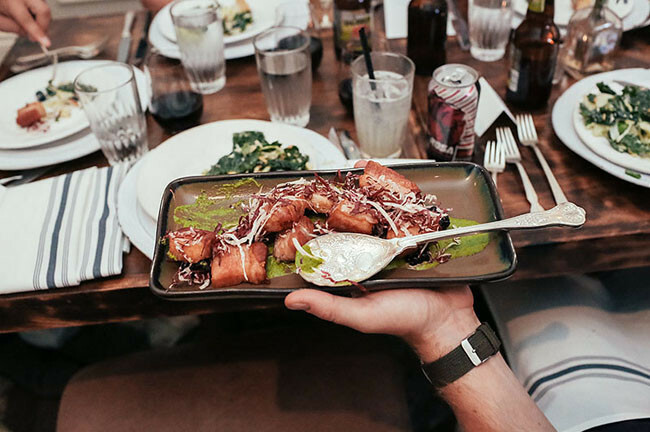 Engage with your chef team and add an extra dimension to your experience with a cooking demonstration featuring a signature dish from the Goat restaurants. 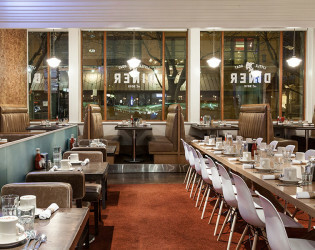 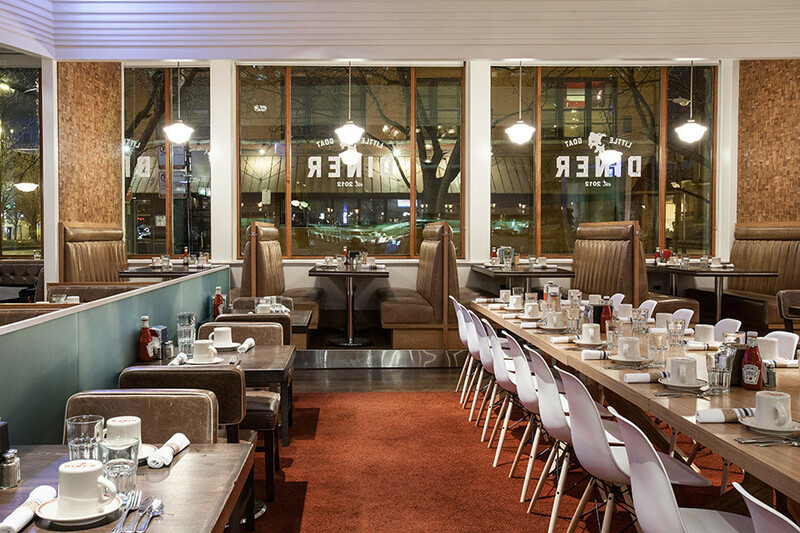 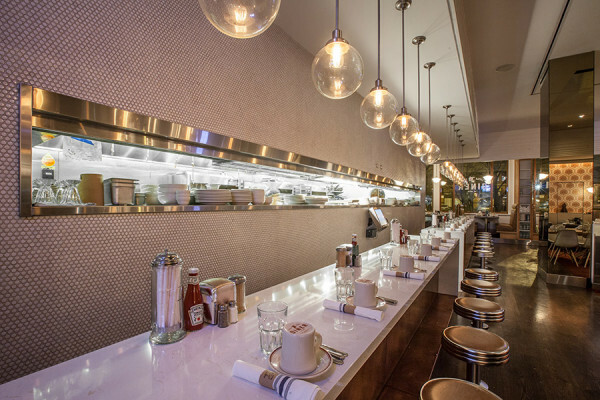 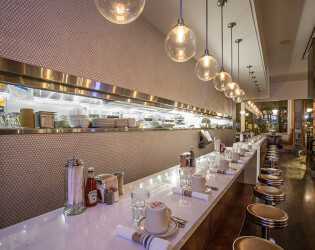 Diner inspired seatings at the counter. 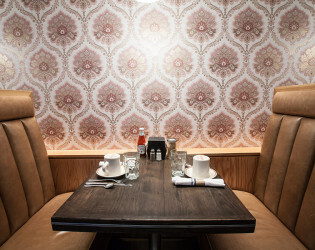 Bohemian wallpaper by the booth walls.